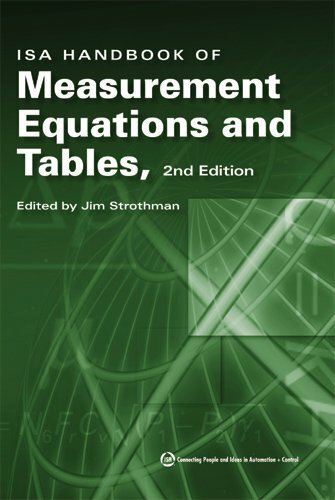 This updated, expanded, and improved version provides hundreds of essential equations and tables to help you select, operate and maintain measurement devices. The 2nd Edition adds brand new chapters packed with tables and equations for Industrial Communications Buses, Safety, and Environmental Measurements. Tables and equations have been added to all the previous editionÂ's chapters covering Units of Measurement, Pressure, Flow, Temperature, Level, Humidity, Electrical and Viscosity measurements.